I'll be keeping a few of these at the shop, framed and ready to hang on the wall. These are not available to ship, only for pickup at the shop. 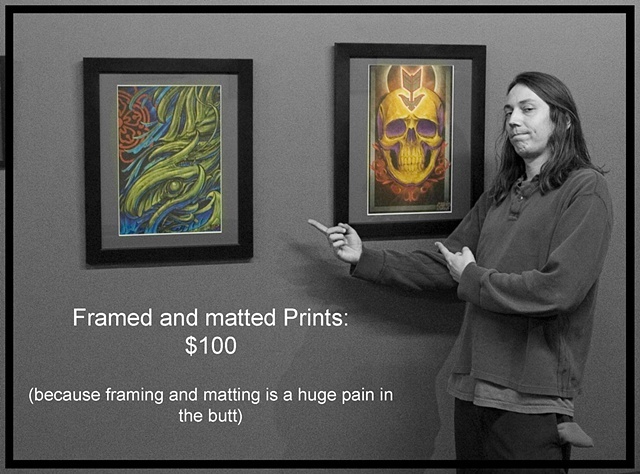 Please call first to make sure i have the print you want already in a frame, worst case it can be ready by the following day. Prints are 12x18, in 16x20 black frames.